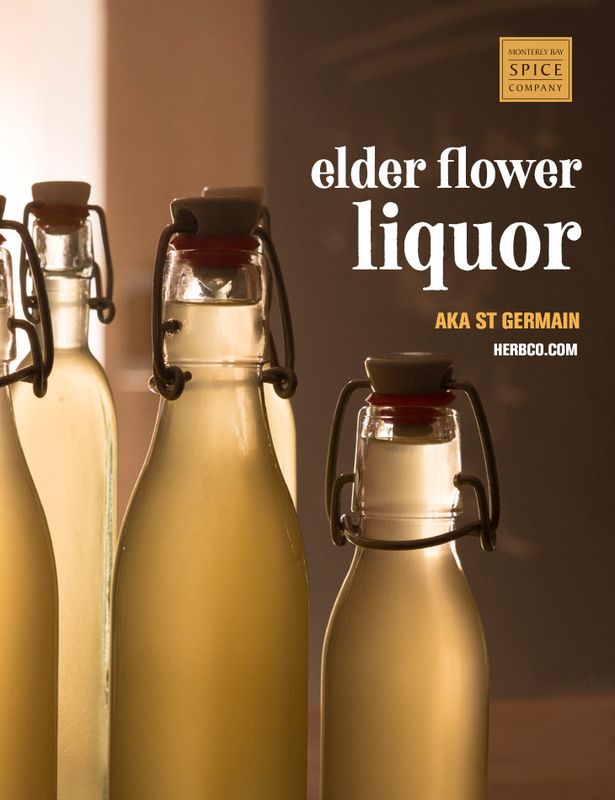 Also known as St. Germain, this sweet liquor is popular in Europe to use for mixing cocktails. You can purchase it in many liquor stores, but it’s easy (and more fun!) to make it yourself with just a few ingredients. Note, however, that this is a two-step process that takes time to complete. Place the elder flowers in a clean quart-sized mason jar with lid. Add lemon zest. Fill the jar with the vodka, making sure the flowers and zest are covered completely. Put the lid on the jar and give a gentle shake. Set the jar in a cool, dark place for 3-4 weeks, turning the jar once each day. At the end of the infusing time, strain; reserving the liquid into a clean container. Combine the sugar and water in a saucepan. Gently heat, while stirring, until sugar is completely dissolved and the mixture thickens to make a simple syrup. Remove from heat and let cool. Add the simple syrup to the elderflower infusion and stir until incorporated. Pour into a clean bottle, cap and label. The liquor can be used right away, but it tastes best if allowed to rest in a cool, dark place for another 8 weeks, if properly sealed using either a hot water bath and canner or self-sealing caps made for bottling. Once opened, use within 6 months. in the archived edition of our November 2018 email.